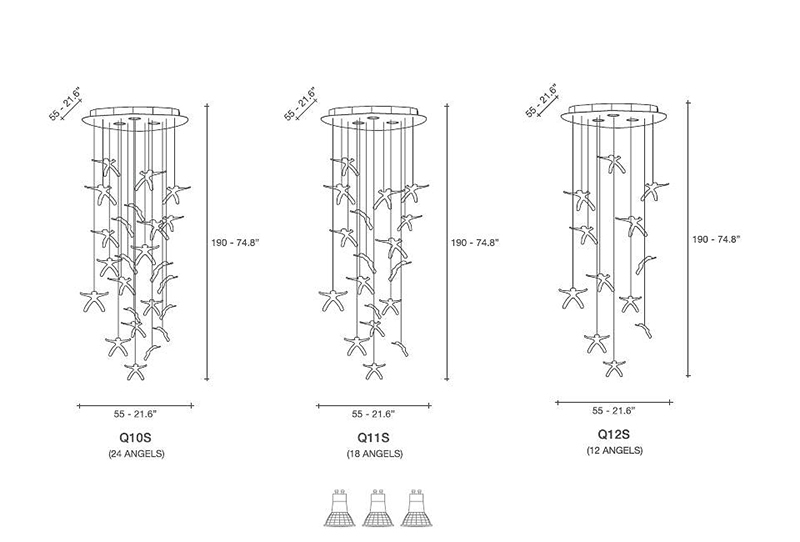 If It's Hip, It's Here (Archives): Angel Falls Chandelier. 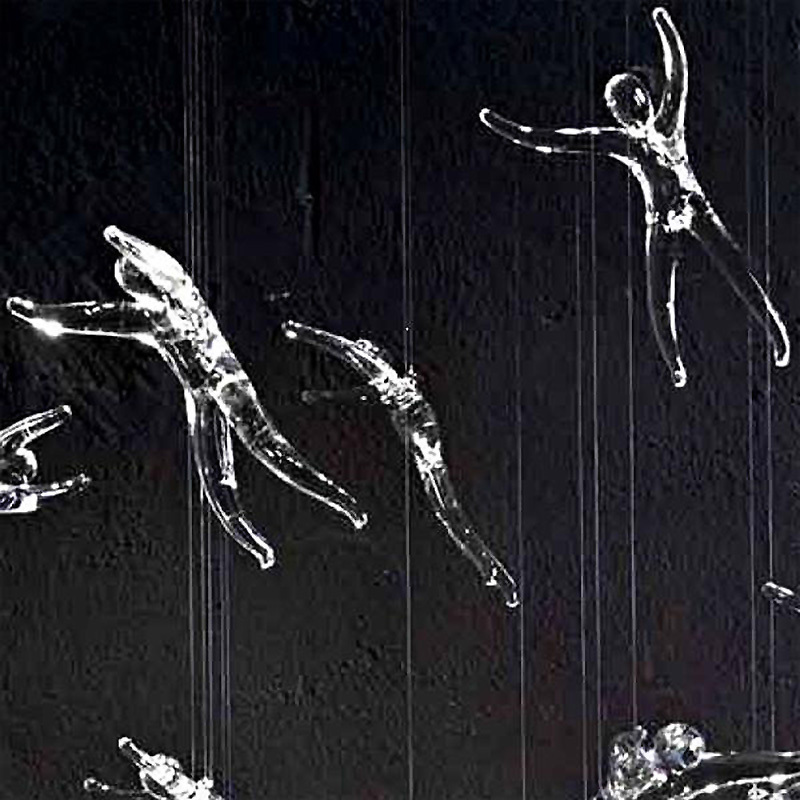 Glass Figures Lit With Halogen Spotlights In 3 Sizes By Nigel Coates. 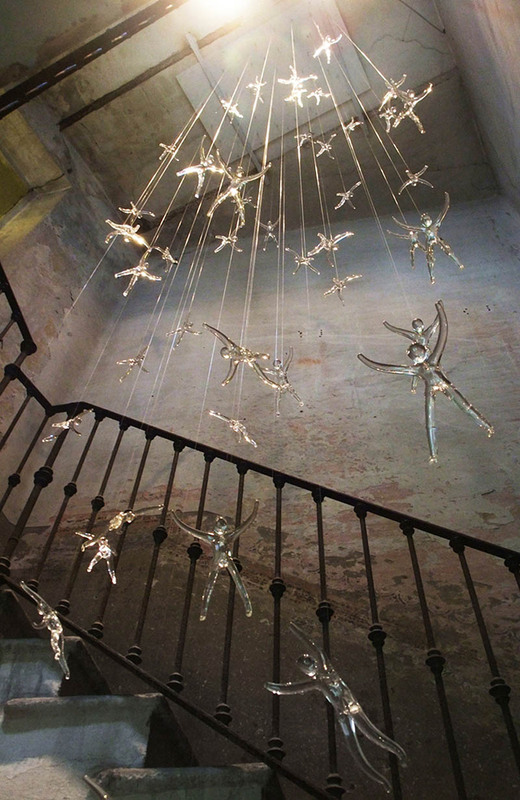 Angel Falls Chandelier. 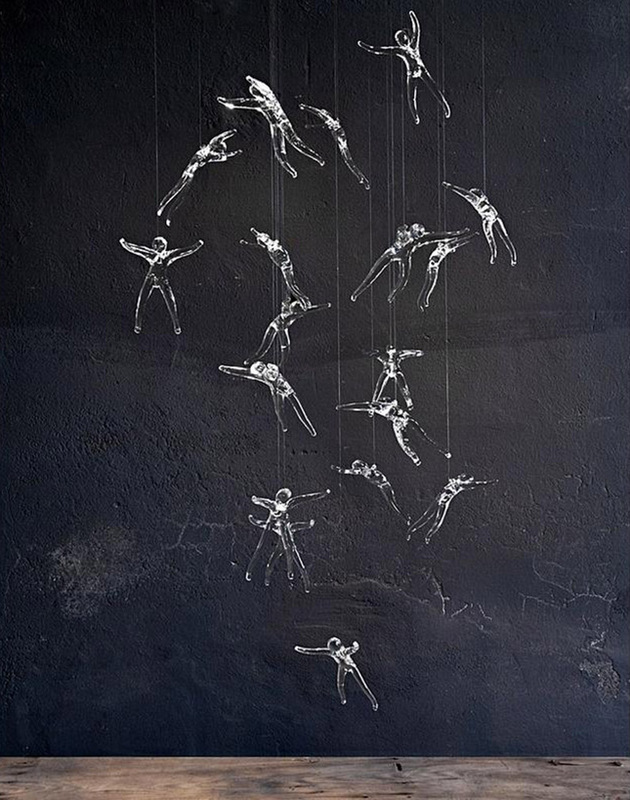 Glass Figures Lit With Halogen Spotlights In 3 Sizes By Nigel Coates. 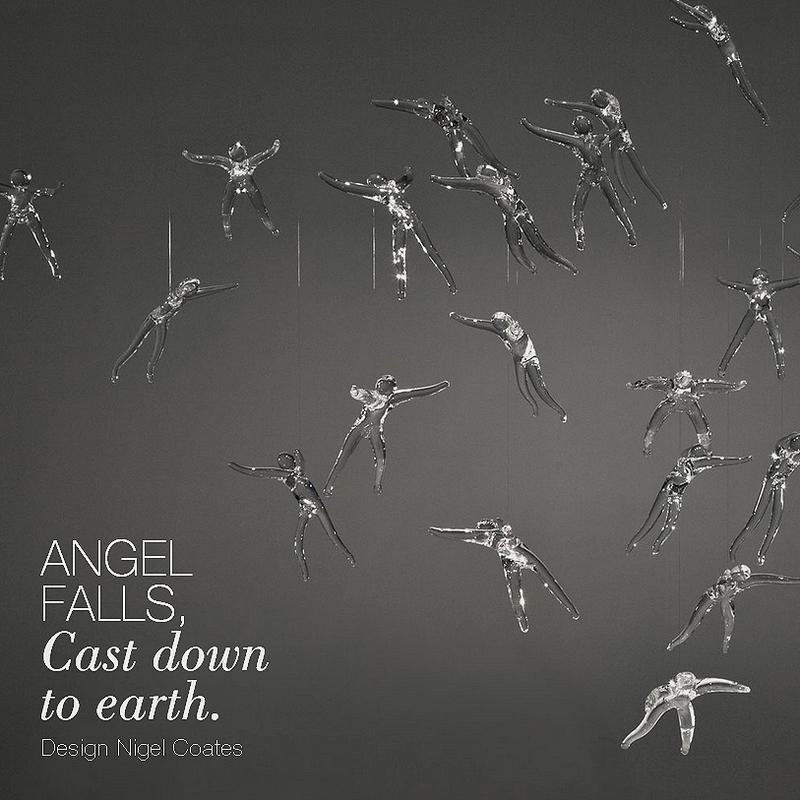 In the Angel Falls Chandelier, glass angels lit by halogen light are falling from heaven. 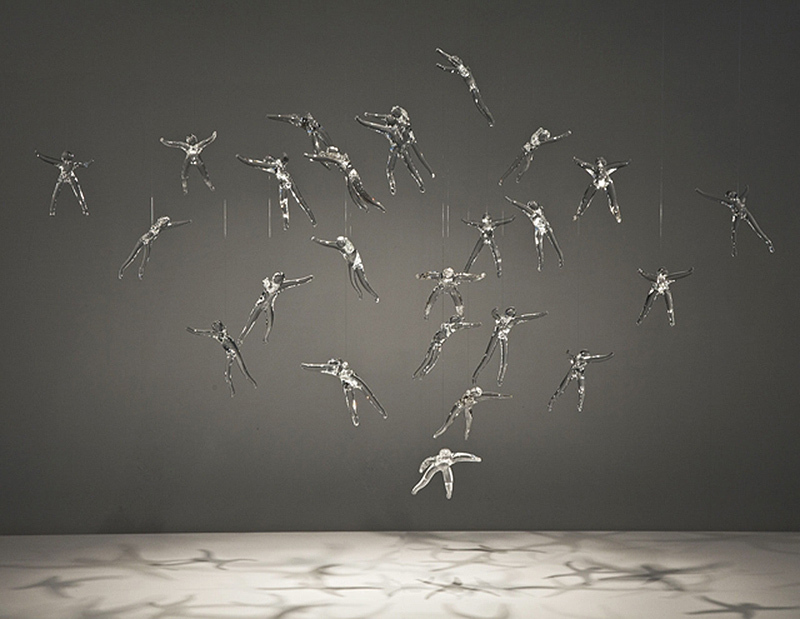 Part sculpture, part fixture, the chandelier crosses the boundaries of formal design into decorative arts and is avaliable in three different sizes. Nigel Coates, well known for his unorthodox approach to design, has created an engaging, unique light. 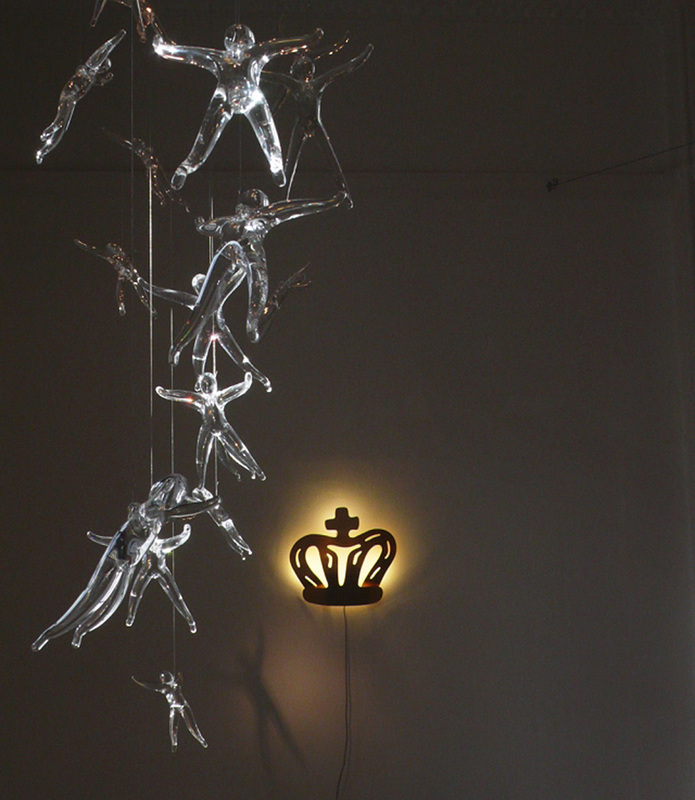 Customizable groups of hand made crystal (24% lead) “angels” are illuminated by halogen lamps. What caused these angels to fall from the heavens? it’s up to the viewers to decide, either way, angel falls is sure to garner attention, and generate conversation, in any setting. materials: Hand-formed glass crystal with stainless steel ceiling rose and halogen spotlights.